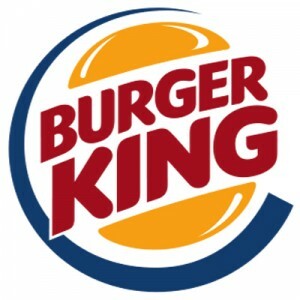 One of the biggest American global hamburger chains, Burger King is home to signature high-quality and affordable food. Millions of people all over the globe visit the store for its great-tasting products and great dining experience. The company was founded in 1953 as InstaBurger King and was later purchased and renamed to Burger King in 1954 by David Edgerton and James McLamore. The company began in Miami, Florida and later expanded all throughout the globe. The company has now more than 15700 outlets in 100 countries. The company has garnered various recognitions over the years, including more than 76 awards in Cannes Lions International Festival of Creativity for its excellence in innovative and courageous marketing. Burger King is committed to providing great benefits and coverage to its associates. It offers 401(k) Plan to its employees, competitive health insurance, and other benefits. Workers enjoy the benefits of career opportunities in the company. It provides affordable insurance and great benefits. The work environment is also fun and professional, and employees may enjoy the flexibility of work schedule. How old do you have to be to work at BURGER KING? You need to be at least 16 years of age to be able to work in the company. However, age requirements may vary depending on the branch and the positions you are trying to apply for. Burger King provides a variety of career opportunities from in-restaurant roles up to corporate roles. It also offers opportunities in corporate and field careers for campus graduates and positions for those who have professional experiences. Team Member: Team Members are tasked to provide exceptional service and interaction with customers – greeting them with smile, receiving their orders, processing their payments, and responding to their queries and issues. They do all-around duties in the restaurant, including preparation and package of products, cleaning of kitchen and dining areas, and maintaining health and safety standards in the area. Hourly Shift Coordinator: Shift Coordinators has the responsibility for restaurant operations during their assigned shifts. They operate the team members, give directions, and make sure the members work in compliance with the company standards. They are also tasked to accomplish checklists and monitor procedures in cash reporting, scheduling, and inventory control during their shift. Delivery Driver: They are responsible for delivering orders to customers on time, interact with the customers nicely, deal with the payments and changes, and answer to customer concerns and queries. They package the ordered food and drink products properly and make sure the orders are delivered safely. Assistant Manager: They are responsible for supporting the Restaurant General Manager in ensuring efficient preparation of products, productive sales, and excellent service to the customers. They manage financial controls, operations, hiring and training of new members, customer service, and monitoring of the restaurants compliance to company standards throughout the day. Restaurant General Manager: They are responsible for managing over-all operation of a single restaurant. They lead the restaurant management team, manage 10-45 employees, monitor services and operations, and ensure customer satisfaction. They oversee financial controls, operations, people development, customer service, and ensure the restaurant’s compliance to the company’s standards at all times. Porter: They assist with the daily operations and ensure excellent service to customers in a fast-paced environment. They assist in all operations, including cleaning and sanitizing food storage area, taking orders, receiving payments, and meet restaurant and customer service standards. Cook: Cooks are considered team members, and are responsible for procedures in the kitchen. They maintain quality standards of food and drinks, and abide to company standards when it comes to cooking and operating inside the kitchen. Their duties and responsibilities are also the same with team members. Cashier: Their duties may include the general responsibilities of team members, but Cashiers are primarily tasked to complete sales transactions within the store. They operate a cash register and deal with payments from customers. They are also responsible in taking orders, giving accurate amounts of change, and in answering customer concerns. Guard: Guards are responsible for maintaining security of the establishment and ensuring a safe experience for both employees and customers. They are tasked to deal with security threats and enforce protocols. They also greet customers, answer customer concerns, and deal with issues. Manager, Design: They are responsible for identifying possible modifications on establishment design and preparing schematic planning for materials and areas in site. They also coordinate with franchises for thorough implementation of company standards and modifications on design. They also monitor and approve the kitchen and site layouts of projects for restaurant expansion. You may apply directly to hiring managers of any Burger King establishment and through an online application. You need to accomplish personal profile and resume, and submit it along with the positions you want to apply for. Online application is available through the company’s website. You may access the available positions and can fill out application forms online. You may build your personal profile through their online platform. Online application is much more convenient and quick than the offline application. However, you can have greater opportunity to show your personality in a direct talk with the hiring managers. In order to make your resume competitive, you need to provide information and work experiences that can be relevant to the positions you are aiming for. Remain honest and professional, and comply to all the requirements. The interview process may be daunting, but all you have to do is remain professional and confident. Try to show your personality and your eagerness while remaining honest and professional. Burger King builds its reputation on the excellent service they provide. With drive, compassion, ownership, and professionalism, the company continues to show its excellent service to customers. The company’s culture is bold and fun, and it continues to look for hard-working people who will bring extraordinary contributions to the company. The 3G Capital, the multi-million dollar firm which owns the company, has recently acquired the Canadian restaurant and coffee shop chain Tim Hortons and merged it with Burger King. The company is known as one of the largest fast food company operating globally. It has excellent service to its customers and a wide variety of food and drink products. It also boasts with signature products like the Whopper sandwich which mark the company’s legacy throughout the globe. Burger King also abides to social and environment standards and remains conscious of its impacts. It successfully meets the goals and objectives of the company while maintaining its ethical and social responsibility. Moreover, it ensures diversity, inclusion, fairness, and equality to both its employees and customers. 1 How old do you have to be to work at BURGER KING?